Oman Air, the award-winning national airline for the Sultanate of Oman, unveiled the new First Class Mini Suite of its Dreamliner 787-9 fleet, last month. 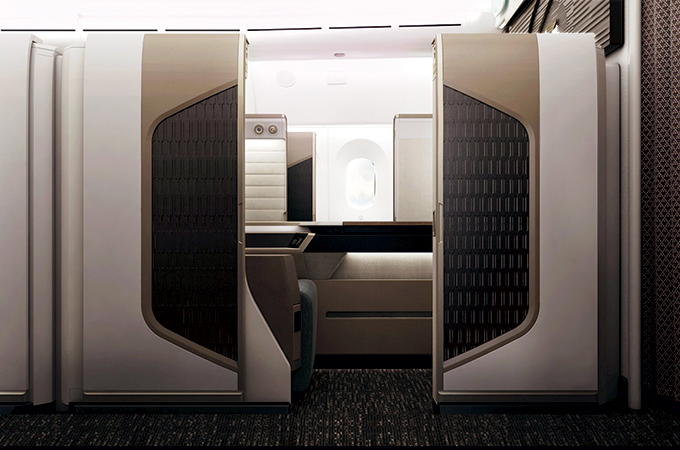 The suite offers one of the longest lie-flat seats available on any commercial airliner, electronically controlled privacy divider, à la carte dining as well as an in-suite minibar. Oman Air is currently undergoing an exciting fleet and network expansion programme, which will see the airline operate up to 70 aircraft to around 60 destinations by 2022. The airline is committed to constantly improving its product, whilst undergoing its dynamic fleet and network expansion, developing its brand and offering guests an unrivalled experience.